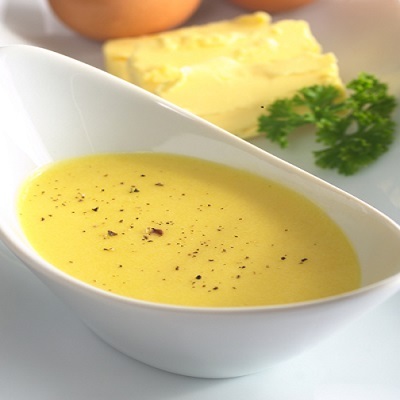 For the perfect weekend brunch you need the perfect Hollandaise Sauce. Place the egg yolks in a food processor bowl and process to combine. Mix the DYC White Vinegar, water, bay leaf and peppercorns together in a small saucepan. Boil until reduced to 2 tablespoons. Add the boiling water to the strained vinegar. Melt the butter until bubbling. The mixture will thicken to form a creamy sauce.